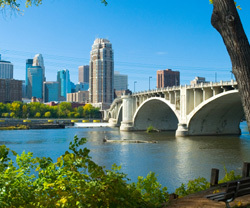 Located in the heart of the Southwest Metro, DiscBurn is uniquely positioned to serve residents of the Twin Cities. Our printing facility is situated on the northeast quadrant of two of Minneapolis, St. Paul’s busiest thoroughfares: Highway 169 and 494. This central location makes our facility the perfect solution for residents of the southwest metro to drop in and say hi. Benefit of Printing Discs Locally? At our facility we can package, print, duplicate and now with our partnership with UPS Mail Innovations we can fulfill your entire project. Stop in today and see how easy we can make your next CD or DVD printing or publishing project. There are lots of CD, DVD, & USB duplicators around, heck we even have quite a few good ones right here in the Twin Cities. If your looking for great printing and duplicating partner located in Blooomington/Edina we have got you covered. Stop in today and see how easy we can make your next CD or DVD printing or publishing project. If your hungry we can swing into Cheetah Pizza for a slice!